In April 2014, we wrote about the case of a former hydrologist at the University of Kansas (KU), Marios Sophocleous, who had plagiarized in at least seven studies, two of which were retracted by the journal Ground Water. At the time, we mentioned two other articles, in the Hydrogeology Journal, that appeared destined for retraction — not least because KU requested that the journal yank them. But in a rather surprising move, the journal is declining to do so, and another publication, the Journal of Hydrology, is taking the same approach. In late February 2013, the Kansas Geological Survey (KGS), a research and service division of the University of Kansas (KU), found that a number of papers written by a then staff member, Dr. Marios Sophocleous (retired from KGS in June 2013), appeared to have been plagiarized from earlier work. KU explained to Hydrogeology Journal that, following multi-stage investigations, which included opportunities for Dr. Sophocleous to explain his actions, KU concluded that Dr. Sophocleous had committed scholarly misconduct. KU then publicly censured him (University of Kansas 2013 ). Two of the seven articles cited in the censure statement appeared in Hydrogeology Journal (HJ) and KU has requested of publisher Springer and the HJ executive editor (EE) that both be retracted. KU provided a detailed analysis of each paper, indicating which passages were plagiarized and the source of the plagiarized material; these analyses are available from KGS upon request. The EE and publisher, Springer, did independent reviews of the papers and agree with KU that a large portion of the text was copied verbatim from previous articles written by other authors. The copied passages all lacked quotation marks to indicate that they were directly quoted from previous works. The EE’s assessment is as follows. In most cases, the reference from which the material was copied verbatim is given close by in the text by Sophocleous. Thus, Sophocleous did not claim that the copied ideas were his own; however, Sophocleous neglected to indicate that he had not composed these passages by including quotation marks around copied text. It is clear that review articles normally consist of information compiled from previous works, but text copied verbatim must be enclosed in quotation marks. Thus, the copied unquoted text must be strictly considered as plagiarism, but Sophocleous’ referencing of most copied passages indicates that he was giving credit to the previous authors from which he copied, and not hiding the fact that the material was not his own. In a positive view, his error might be considered to be a technical one, in which he neglected to use quotation marks; however, the EE and Springer agree with KU that this style of presenting information from previous works, even in review articles, is unacceptable. KU has stated that it views these papers as compilations of plagiarized material and has requested they be withdrawn to demonstrate to the hydrological community that such practices cannot be tolerated. One response to the KU retraction request that was considered by the EE was to republish the two articles with all necessary quotation marks in place; however, this would appear peculiar as a large portion of the text in each article would be within quotes. This makes it clear that reviewers would have rejected a manuscript composed of largely quoted material. In deciding how to respond to the retraction request, the EE has also considered the value of these two articles to the scientific readership. Both articles are reviews of their subject matter, not presentations of new scientific results. These HJ articles are highly cited and indeed, one is among the most highly cited of all time in HJ. Thus, both articles were and are still of clear value to the scientific community. Therefore, the EE has concluded that retraction would be a disservice to the community. KU disagrees with the conclusion of the EE and continues to assert that both papers should be retracted. However, in the interest of bringing the matter to a close, KU has agreed to accept publication of this Editor’s Message in place of retraction, given that a link to this is attached to both papers in the Springer online archives. In late February 2013, the Kansas Geological Survey (KGS), a research and service division of the University of Kansas, found that a number of articles written by a then staff member, Dr. Marios Sophocleous (retired from the KGS in June 2013), appeared to be influenced by plagiarism. On December 11, 2013, after an analysis of the Investigating Committee, the University of Kansas concluded that Dr. Sophocleous had committed scholarly misconduct relating to plagiarism and self-plagiarism and it publicly censured him at:news.ku.edu/2013/12/11/public-censure. (1) Sophocleous, M.A., 2012. The evolution of groundwater management paradigms in Kansas and possible new steps towards water sustainability. 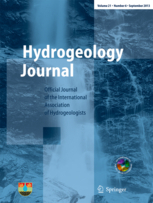 Journal of Hydrology, 414–415, 550–559. (2) Sophocleous, M.A., 2000. From safe yield to sustainable development of water resources the Kansas experience. Journal of Hydrology, 235(1–2), 27–43. As an Editor in Chief of Journal of Hydrology for the subsurface water area, I have examined these two papers together with all the references the Committee esteems have been plagiarized. Many sentences of the two manuscripts are really paraphrased or reproduced from papers earlier published and their identification by the Committee of the University of Kansas is substantially accurate. The paper by Sophocleous (2000) is a critical overview which uses the Kansas experience as a support. The paper by Sophocleous (2012) is neither a technical nor review paper but comprises an historical description of acts and procedures enacted by Institutions of the Kansas State. To some extent, these typologies of works need to include paraphrasing or reproduce text from previous publications, even though the above mentioned papers contain an excess of these kind of quotes to former studies. All the source papers are substantially cited in the vicinity of the parts paraphrased or reported in the same form, however not placed between quotation marks. In addition, these parts of text are rearranged in a different framework and under different contexts for different audiences. The relatively high number of citations highlights the important role of these two papers. I realized that at the time of the submissions, the team of Journal of Hydrology was unable to notice the problems linked with the two papers. In fact, most source papers quoted are technical reports or local publications, practically inaccessible to the editors who handled the review processes as well as to the reviewers. Most source papers are currently not identifiable by the plagiarism detection software because they are absent from the widely used database systems. I would also like to clarify, the Journal of Hydrology was informed of the allegations of plagiarism and self-plagiarism only 2 and 14 years after the publication of Sophocleous (2000) and Sophocleous (2012), respectively. An overall analysis of the aforementioned elements leads me to exclude the retraction of the two papers and to write this Editorial Note summarizing the critical elements discussed and my conclusions. For the sake of completeness the main source papers involved are given below. – Rolfs, L.E., 2006. Comparing and contrasting the roles of the Division of Water Resources and the Groundwater Management Districts in groundwater management and regulation. Kansas J. Law Public Policy 25 (3), 441–465. – Sophocleous, M.A., 2000. The origin and evolution of safe yield policies in the Kansas Groundwater Management Districts. Natural Resources Research 9 (2), 99–110. Lastly, I would like to point out that the University of Kansas, despite having arrived to a different conclusion than my own, has agreed to accept that an Editorial Note is published, given that a link to this note is attached to both articles in the Elsevier online archives. This note will hopefully bring the matter at hand to a close. The editorial, we should note, is behind a paywall. Now, we’re all for editors having leeway, but this decision, to put it mildly, is a very slippery slope. On the one hand, we agree that retraction is a blunt instrument that at times is the least best option. On the other, neglecting to retract because an article is “of clear value to the scientific community” is pretty porous rock: Science has standards, some of which should be inviolate. Fabrication of data or results is never acceptable and should never be allowed. Had fabrication been the case regarding Sophocleus, we would have retracted. In the Sophocleus case, there was a lack of quotation marks, but all quoted material was carefully referenced by the author. The public plagiarism discussion lead by Univ of Kansas will be enough to make the point to the scientific community that excessive quoting and lack of quotation marks is not a professional way to write articles. Sophocleus did great work in writing those papers and these still provide valuable information and compilations for hydrologists – however, his style of composition was lacking. Springer is allowing an extremely dangerous precedent to take place. That means that, from today, it is legitimate to add copied text from any text, and not add quotation marks. This is a serious massive step backwards. Well done, Springer, for assisting in the corruption of the literature. Once again, we learn that journal editors are the most supreme scientists, and this is exactly why they are free to preside and judge about the humble rest. Or maybe journals are free to do with their papers as they like in a free market, being actually private profit-oriented enterprises and Mr. Sophocleous being the paying customer, while these obscure scientific ethics are but socialist meddling into private businesses. Leonid. Beautifully phrased. I will definately use your words in a future paper criticising the hipocrisies of this commercial publisher. But don’t worry, I will add quotation marks, add your name and of course the link to this URL, as is expected of me. Seems reasonable to me, and the editors get loads of brownie points for explaining what they are doing and why. In fact if the sources are virtually inaccessible, then extensive quoting is probably justified, and the lack of quotation marks is indeed a “technical” error. Someone ought to submit a joke paper entirely composed of “missing quotation marks” material to one of these journals and see what they do. They could hardly reject it, after this precedent. Exactly. But hey, who cares right? As long as the economic model brings profit and sustains the impact factor game, maybe ethics can be slightly twisted to suit the economic model? After all, this is a paying member of COPE. For those who might not know what COPE stands for, allow me to expand: The Committee on Publication Ethics: http://publicationethics.org/ (I suggest you make your own calculations about how much Springer is paying COPE for its ethical standing: see membership fees and do the math). I wonder what COPE has to say about this? In my opinion, and those who know me know that I have been a long-term critical of these commercial publishers and their pseudo-ethics bought by being COPE “members”, it is fundamentally wrong to pay COPE membership to then claim to be an “ethical” publisher, and then to have these ethically contradictory stances, simply because ethics cannot be bought. And we, the plebs of the scientific community, have the responsibility to speak up, and speak out, strongly, against such hipocrisy. To Clifford Voss, in my humble opinion, you have erred. Are these publishers not infringing the original authors’ copyrights by continuing to publish the material unaltered, if “a large portion of the text in each article [sh]ould be within quotes”? Such wholesale copying surely cannot come under the fair use excemption. And now that the journals have been made aware of the infringements, that surely constitutes willful infringement, which carries additional heavy penalties. My thoughts exactly. Would be interesting to get an IP lawyer’s perspective on this case and how e.g. the DMCA plays into this, as the journal also make this plagiarized information/intellectual property accessible via the internet. exactly. the only problem is that an original author would have to know about this and care enough to take some action. at the very least, a dmca take down notice could be effective. Lar, a small correction. “Are these publishers” should read “Is this publisher”. Simply because we are talking about one publisher, Springer Science + Busines Medium. Those who are critical of this apparent ethical contradiction, and also possible cpyright infringement by Springer, should please express their indignation at PubPeer: link the articles DOIs to PubPeer (and also PubMed Commons). Let the discussion also rage there. I suspect that Springer has a pretty strong legal team that could squash any challenges to the copyright legality of the issue, so the base of scientific community has to raise its voices of discontent on its own. No need to rely on legal teams although yes, I do agree with Westworldviewer that an IP lawyer’s take on this would be interesting. Any pro-rata lawyers out there who could give their anonymous assessment? The editors and publishers have made clear their rationale for posting a remarkable public notice (sort of an expression of concern) rather than a retraction, showing considerable wisdom in analyzing the seriousness of the alleged “plagiarism” (for the author’s failure to use quotations in citing his own work and that of other in review articles, where he specifically and closely cited the source papers. A finding of research misconduct for plagiarism demanding retraction of the papers should, in my view [see my publications on ORI plagiarism cases*], be made on the grounds of the seriousness of the action — as in this case, as judged by the editors and publishers, not very serious, and thus not warranting retraction of the review articles. So, in essence, Alan Price, are you agreeing that it is OK to omit inverted commas when using the exact words of other scientists, or from other sources? Once sitting on a PhD committee we discovered that the candidate had copied several pages of his introductory matter from elsewhere in a similar manner: references given but verbatim without quotes. The faculty concerned required later that the candidate made an erratum listing all the sections that were affected. My argument is here that years later one should be able to summarize and put it into a modern context in order for it to be science. This argument also applies to this Sophocleus case. At least a correction should be made listing the copied sections. But there is the other aspect whether this is simply a bad example for new scientists, besides the precedent – referred to by JATdS – it sets. In view of this, a retraction appears more appropriate. I wish to make my stance a little clearer. I am not necessarily calling for a retraction of this/these paper(s). Indeed, a serious faux pas was made, no doubt about that. But if the editors fail to even issue a correction, erratum, or more appropriately (as I see it), an expression of concern, then the precedent set is really dangerous. So, considering that the study may be important (we’ll give the EIC credit for that assessment), and the authors made an “honest error” (how they prove honesty is beyond me), then the journal and Springer S+BM have the responsibility of at least issuing an erratum or EoC. Publishing the above statement as an “Editor’s message” would also not be sufficient because it removes the issue of misconduct off the table and it makes it sound as if the misconduct was not that great, or that important – which it is. If that happens, then all subsequent cases of “missed inverted commas for direct quotations” should be pardoned in ALL Springer journals. Moreover, any paper in the past that was retracted based on the authors NOT using quotation marks should now be revoked (this is how serious the fall-out of this case could be because those who may have suffered a retraction in a Springer journal until January 1, 2015 due to the fact that they “plagiarized” others’ words (i.e., did not use quotation marks) would now in fact be the innocent victims of a publisher with wavering ethical stances). I really hope that this editor and Springer are reading this page at RW because if they do not do this, then any scientist, I believe, has the moral right to submit a paper to ANY Springer journal without adding quotation marks to words used directly from another source. In science, more importantly in science publishing, there is protocol, and once agan, I find it disturbing to see COPE-established “ethical” protocols being twisted to suit the profile of a journal that is supposedly also under COPE’s ethical limitations. In some ways, this reminds me of the Bohannon “sting” in which Bohannon used (as I perceive it) unethical publishing practices (using false names, false emails, false papers) to achieve a fully flawed objective: to trick publishers. Thus, if we applaud Bohannon (which I do not), then we are directly condoning the use of false (as I see it, unethical) tactics in science publishing. No matter how famous a scientist is, or how powerful a journal or publisher are, we must raise our voices with conviction when we perceive an issue to be wrong, or to be incorrectly dealt with. That is one of our responsibilties in science, as scientists. All of this said, I can empathize with Dr. Voss, because such cases and situations are extremely difficult to handle, also because there is no absolute, or crystal-clear path of resolution. Despite this difficulty, Dr. Voss would do well to reflect VERY deeply about what his decision will imply for ALL past and future cases of plagiarism involving the lack of quotation marks on direct quotes in ANY Springer journal. Not so fast, JATdS! Certainly not ALL Springer papers omitting quotation marks shoud be pardoned nor ALL retracted ones be resurrected. ONLY those that are not “highly cited” and, thus, of exceptional “value to the scientific community”. In other words, plagiarism should be punished only if the paper involved is of little significance. THIS is their new policy – and I do not think it binds other Springer journal Editors. Personally, I would not submit a paper to JH while this double standard policy is in effect.